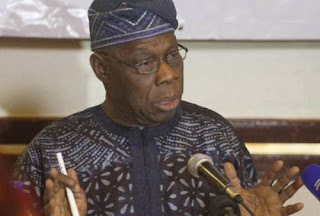 Lieutenant General Alani Akinrinade (retd), a former Chief of Army Staff, hass urged Nigerians to ignore the comments of former President Olusegun Obasanjo, as he is an “irritable leader” who belongs in the “dustbin of history”. He also urged the media to focus on their job as “the fourth estate of the realm” and endeavour to keep people in their place, and not give them unnecessary publicity. He stated this in an advertorial published in The Punch newspaper on Thursday. [quote]His words: “The Nigerian media appear to have forgotten they are indeed the fourth estate of the realm. They are gatekeepers. They owe Nigeria the responsibility of keeping this irritable man where he belongs — the waste bin of history. “Like his daughter, Iyabo, reminded him in her letter, Nigeria does not belong to him. He should allow Nigerians choose who they want and stop goading the citizenry for his own selfish interests. “Olusegun Obasanjo asking Nigerians to vote for Atiku Abubakar is an insult to our collective intelligence. With the benefit of hindsight, can anyone truly say Obasanjo’s sense of judgment in choosing leaders can be trusted?